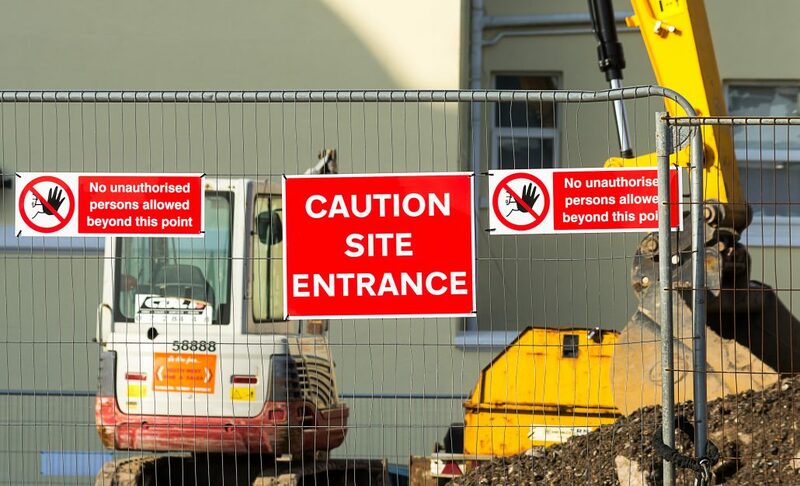 Construction sites are regarded as an easy target for opportunistic thieves, with many contractors and vehicles entering each daily as well as being completely vacated at night. Many construction sites suffer theft, yet security is often considered a ‘luxury’ (or an unnecessary evil!). However, well-managed uniformed security is effectively cost-neutral, with savings made in the prevention of lost plant, materials and frustrating downtime. It may also be an insurance requirement. With the risk mitigation being paramount, we start by vetting our officers to BS 7858 to confirm at least 5 years unblemished history, with each being DBS checked and of course, SIA licensed and highly experienced. Where stipulated, officers holding CSCS cards can be deployed. In addition, officers arrive prepared with full PPE, including hard hat, hi-vis clothing and safety boots. Before commencing, detailed assignment instructions and site-specific risk assessments are completed by one of our guarding supervisors to ensure the guards’ duties exactly meet site requirements. This starts with reporting directly to the site manager upon arrival to receive a briefing, and where, possible a site tour, with relevant risks noted and responsibility for keys accepted. With site patrol intervals agreed, officers check perimeter and gate security, plant, materials with any damage, potential issues or incidents time-stamped in the site log book.